Japanese whisky as a category hasn’t really buttered our bread as a club. We don’t have a whole lot of options to choose from on the shelf, the shortages have hurt the age stated expressions and biggest of all it is quite expensive across the board. We only have one rich dentist in the club and he likes bourbon, so, there you go. 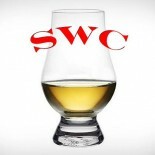 Personally, right or wrong, I feel the category is too close to Scotch to justify my straying and not a good enough reason to open my wallet for $100 plus for a NAS malt. I certainly do not think Japanese whisky is poor by any means. I think it’s safe to say there is true craft and care that goes into making this stuff, and I also don’t mean to imply that the whisky isn’t worth the price. Maybe it is. I just can’t afford it. And that’s the way the cookie crumbles sometimes. Nose- Subtle fruit with red apples, citrus peel and cherries. Sherry is quiet with sugared dates. Smoke is gentle. Floral with rose petals. Perfumed. Light sweetness. Taste- Honeyed floral feel. Green apple. Finish- Medium length. Some peat shows up with straw and barley. Comments- This is precisely what we expected. The floral competes with the fruit notes and achieves a balance. Nothing too extraordinary but we cannot argue with the quality of this well-crafted malt. Agree? Disagree? We are ready to receive your volley.